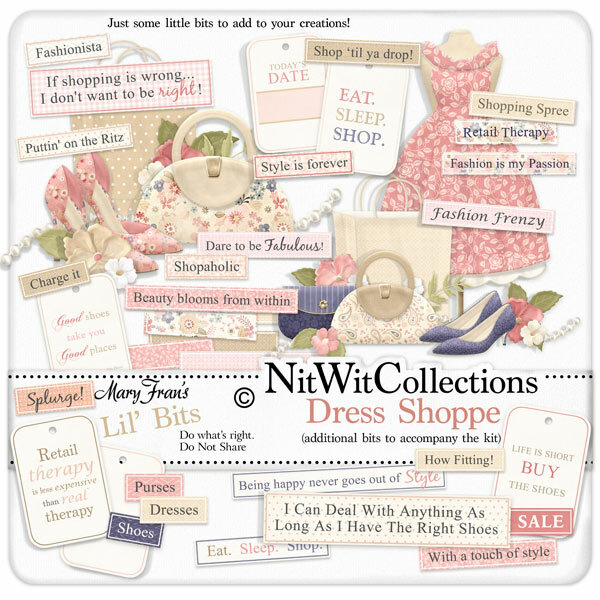 Lil' Bits "Dress Shoppe" digital elements pack is kind of like the displays up near the tills at customer service. They are the great accessories that you just need to have to complete this ensemble of this Collection! Don't miss out on these digital elements as they are not included in the FQB "Dress Shoppe" Collection so don't pass these by! 5 Word strips that are blank for you to fill in with your own thoughts, feelings, dates or titles.